For several years I have been taking my work and skills to share in classrooms, colleges and communities. 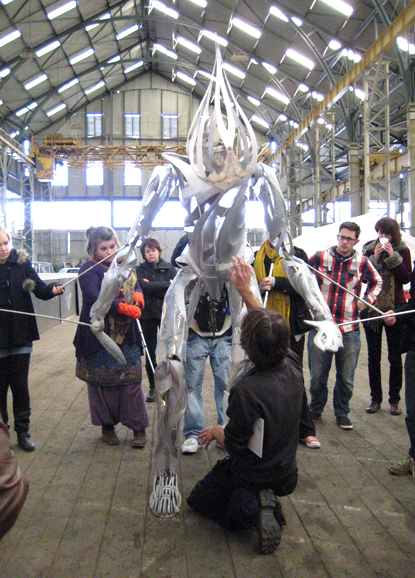 Workshops aimed at teaching methods in construction of carnival and theatre costume have covered many areas from backpack/harness to fabricating giant heads. These have taken me all over the country and abroad where often inspiration can be given for people to use their ow skills in a different way. The life of a puppet comes from the operator and so I continually explore the object by performing with it. This is a process of discovery which is accessible and engages learning in physical form, the language of expression and team work. I am enhanced CRB checked.